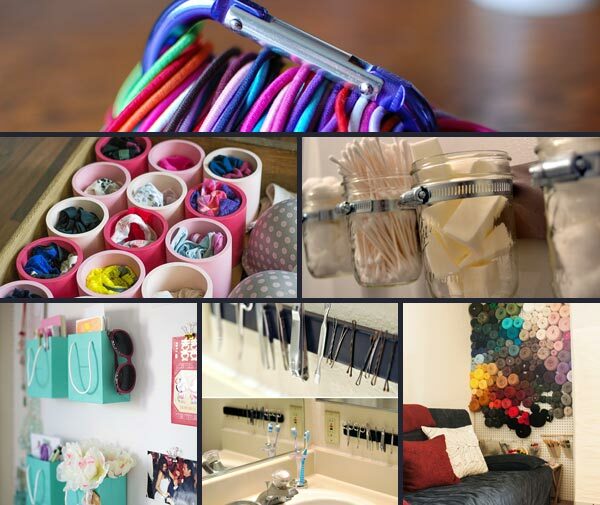 Not just for construction purpose, PVC pipes can be used for a variety of purposes. As it is sturdy, waterproof, inexpensive and easy to get, it is the perfect material for many DIY homestead projects. 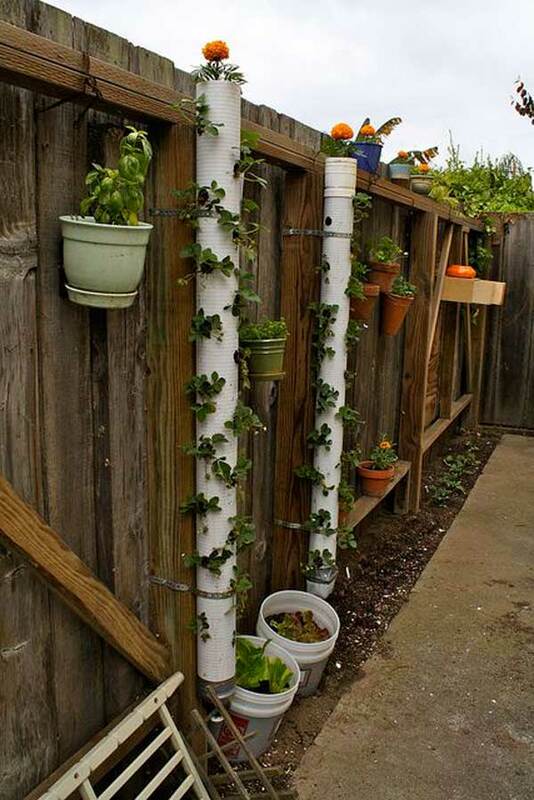 Even if you’re not good at DIY, you can also drill, cut, paint and glue those PVC pipes easily. 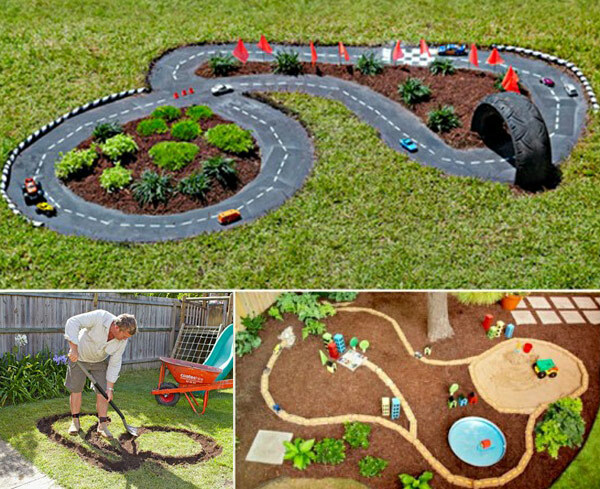 Spring is on its road, so this is proper time to look for some creative ways to take care of your garden or yard. 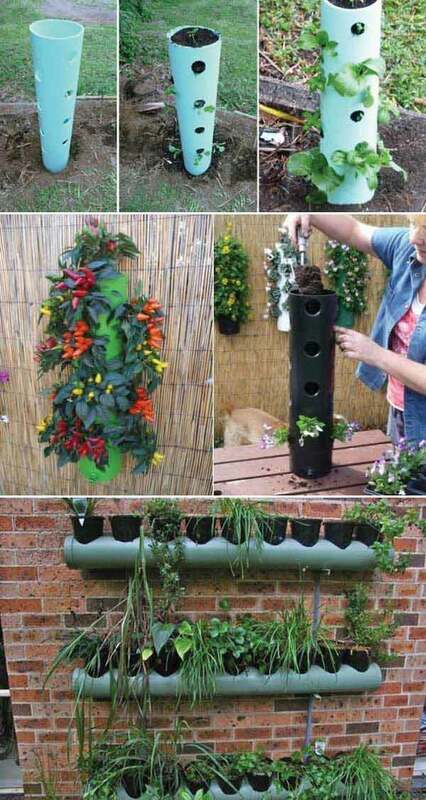 If you love gardening, creating several useful PVC pipe projects to make your gardening experience a bit more easier and interesting is a good idea. 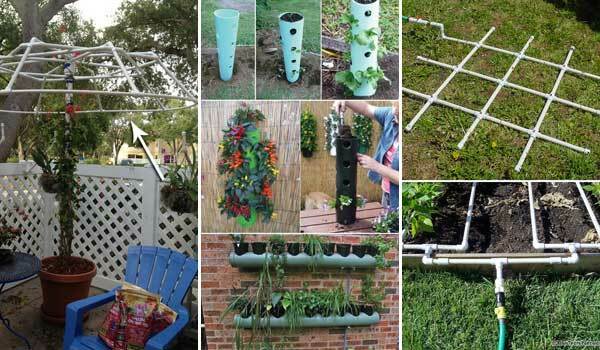 Whether your passion is for landscaping or farming, I am pretty sure that you will be surprised by here’s PVC pipe garden projects. 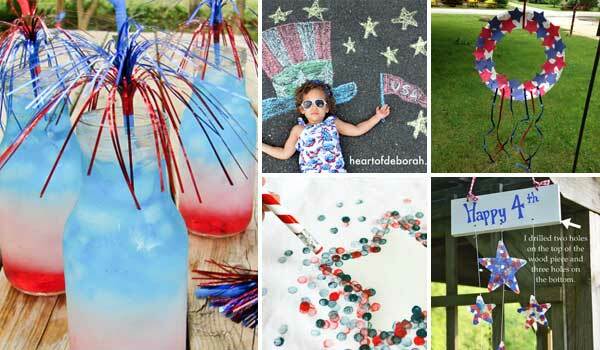 Take a look at the following ideas and get inspired! 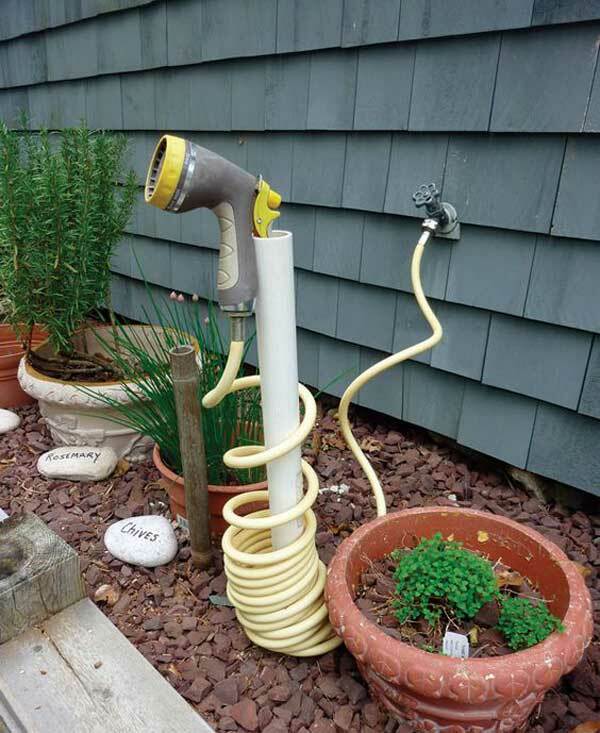 1. pvc pipe for coiled hose storage. 2. 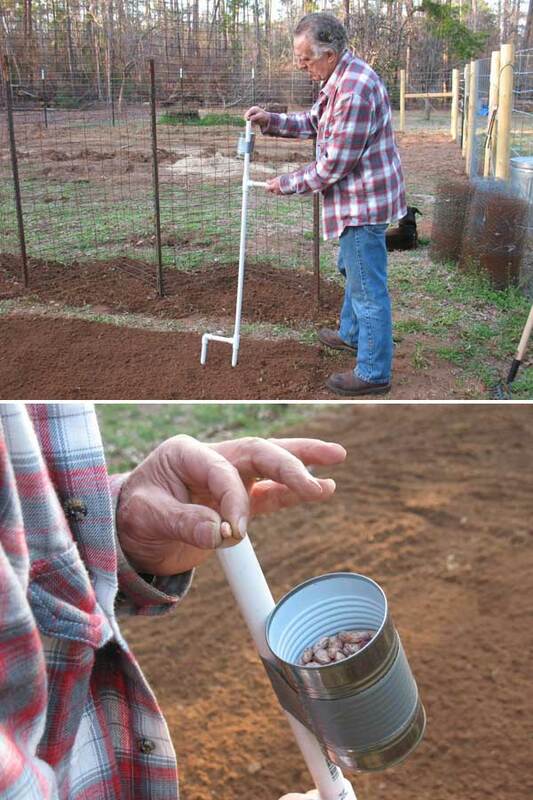 Build a hand-held seeder to let you stand up to plant beans and corn. 3. 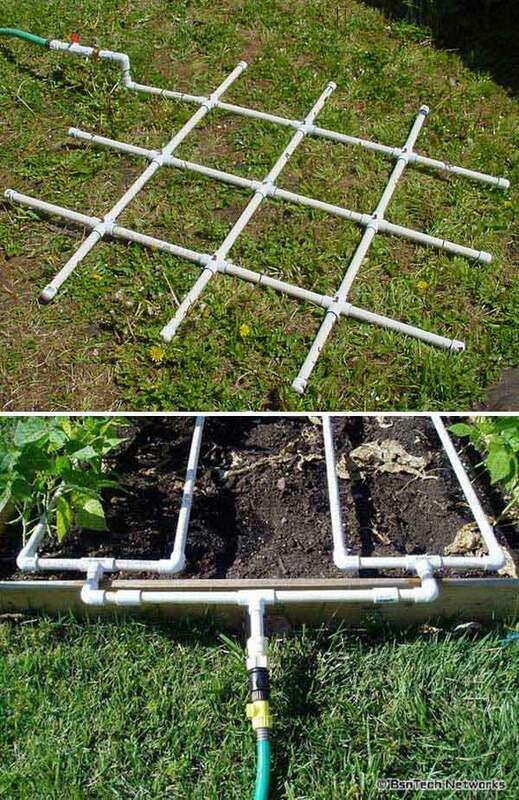 PVC watering grid will help you become more efficient in watering the garden. 4. 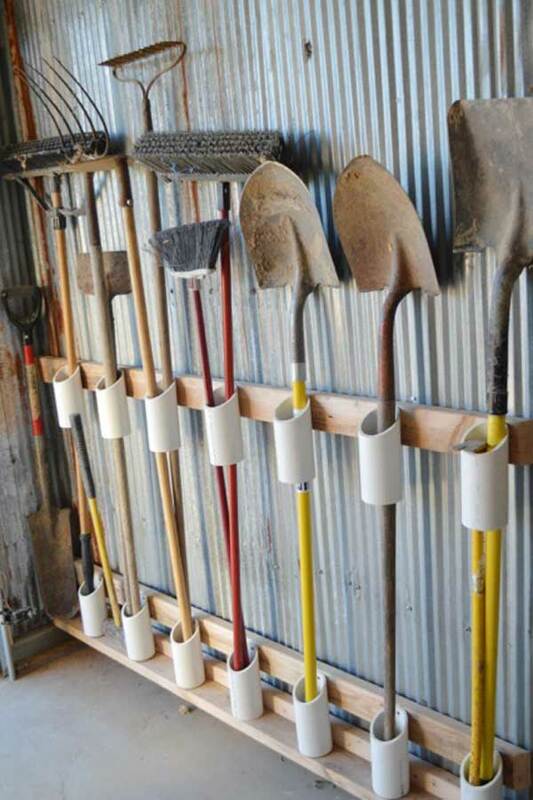 It is a clever way to store your garden tools. 5. Set up a strawberry tower in your backyard. 6. 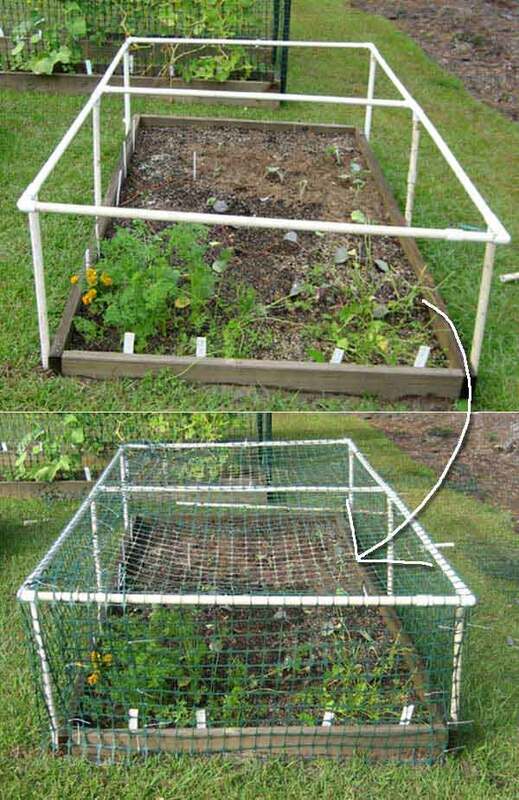 Build a multipurpose raised bed protective cover. 7. 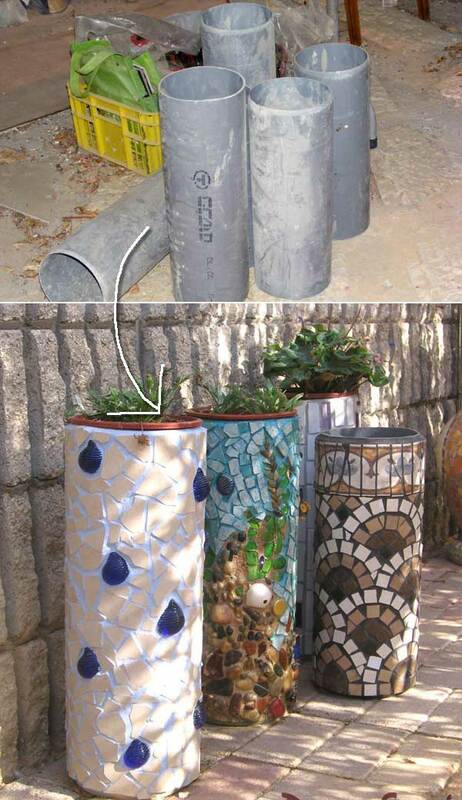 Planters made from plastic PVC tubes and mosaic tiles. 8. 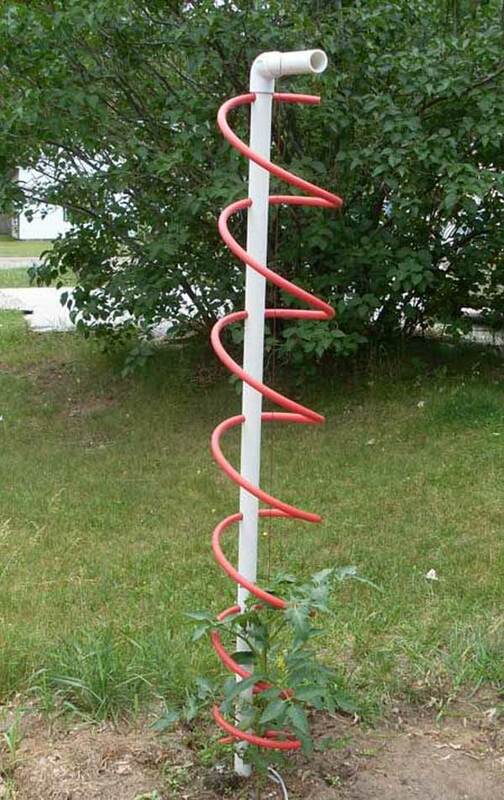 Tormato Trellis makes your tomato growing experience a bit more easier and interesting. 9. 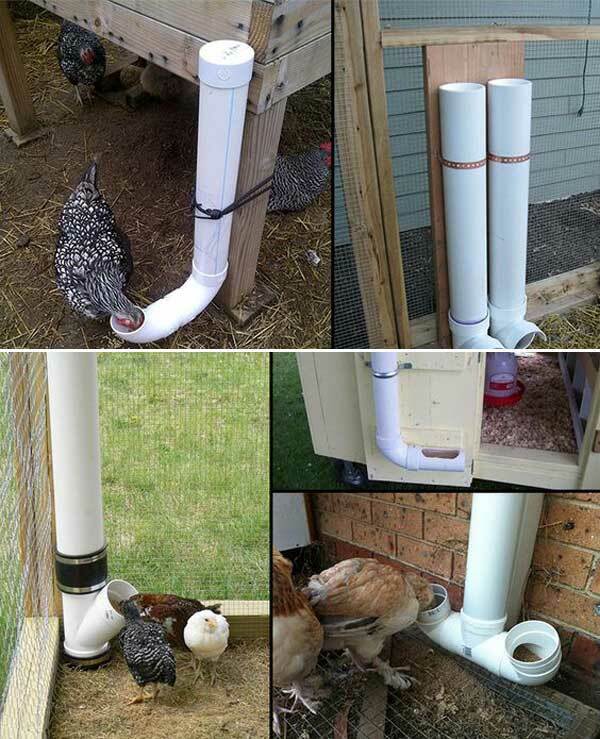 Build a cheap chicken feeder from PVC pipes. 10. This towel rack is great for outdoor shower. 11. 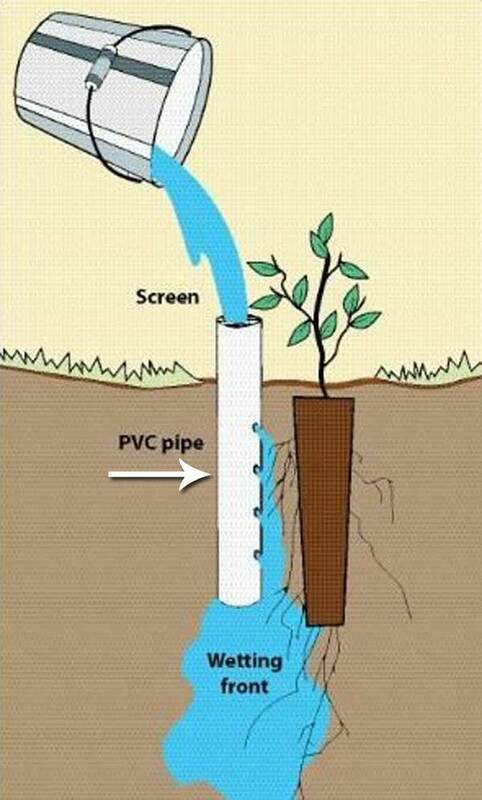 Deep pot irrigation uses an open-ended PVC pipe placed next to a planted seedling. 12. 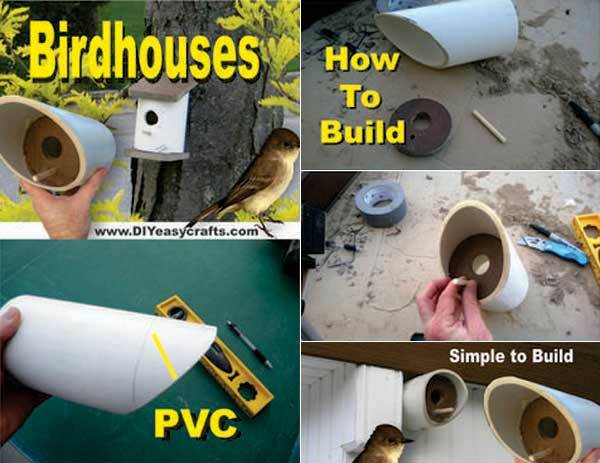 Use PVC pipe to build a maintenance free Birdhouse. 13. 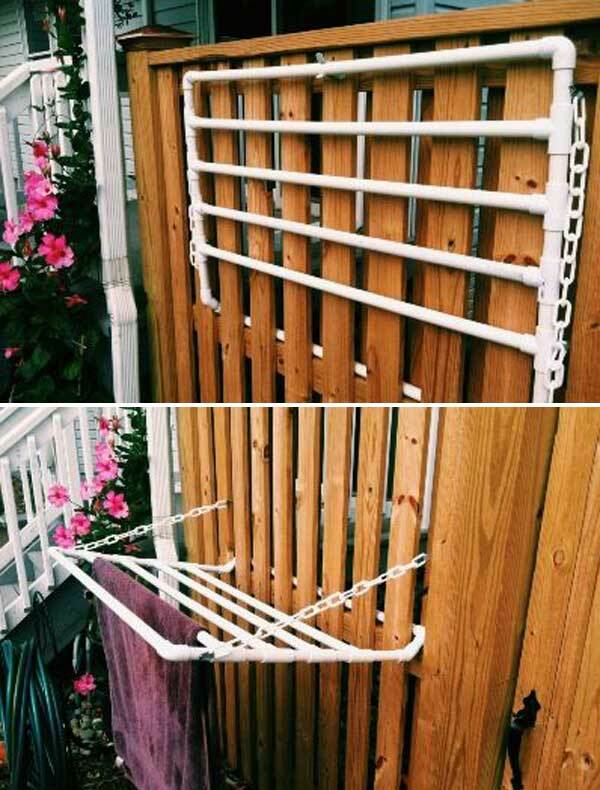 DIY backyard sunshade will block the sun for your kids when they play outdoors. 14. 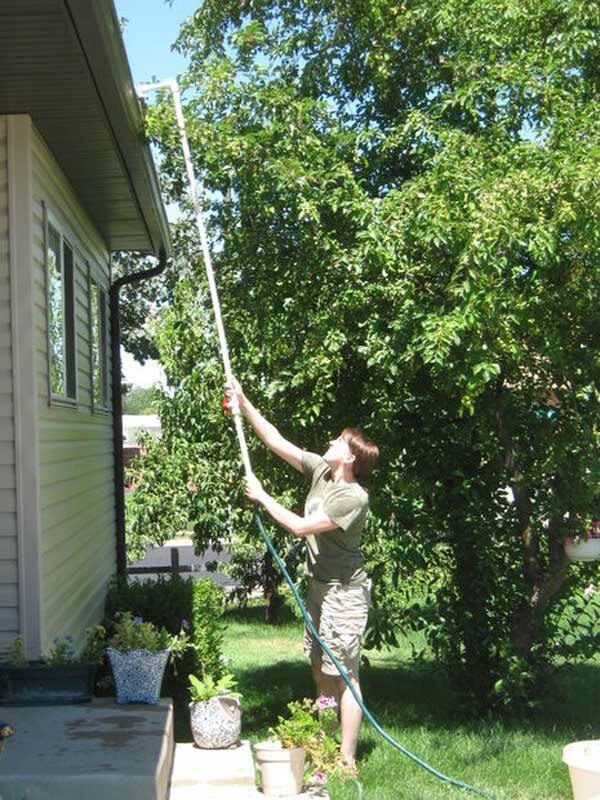 Don’t want to have to go up on a ladder to clean your rain gutter drain? 15. 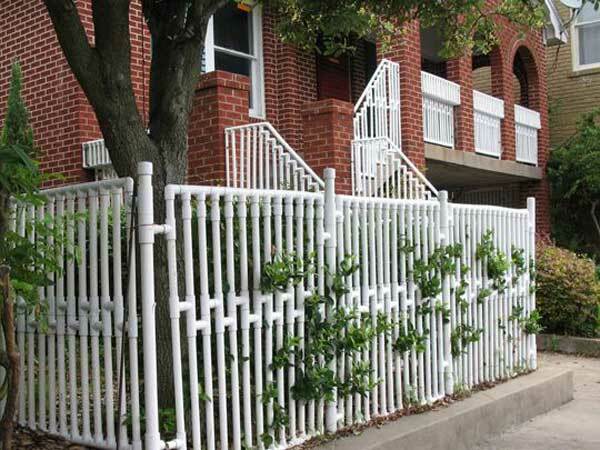 Go for PVC fencing. 16. DIY vertical PVC planter. 17. 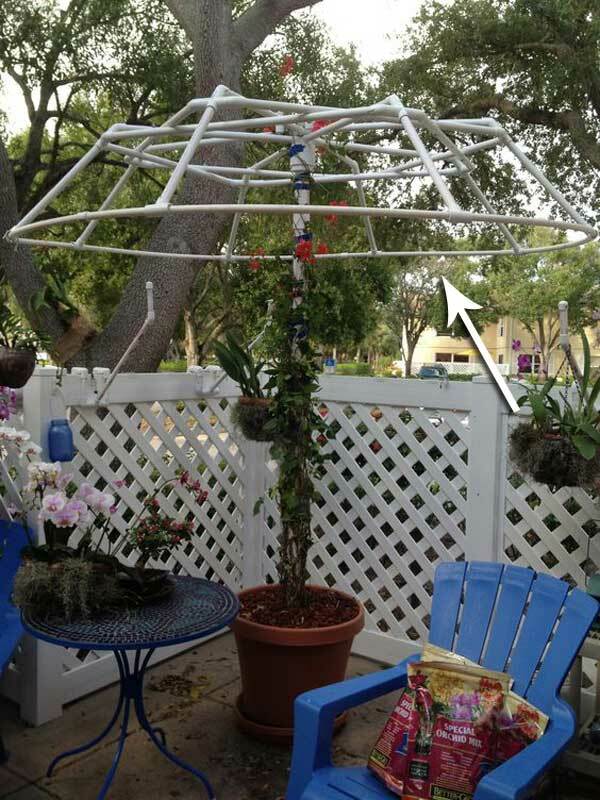 Use PVC pipes to create a living canopy. 18. 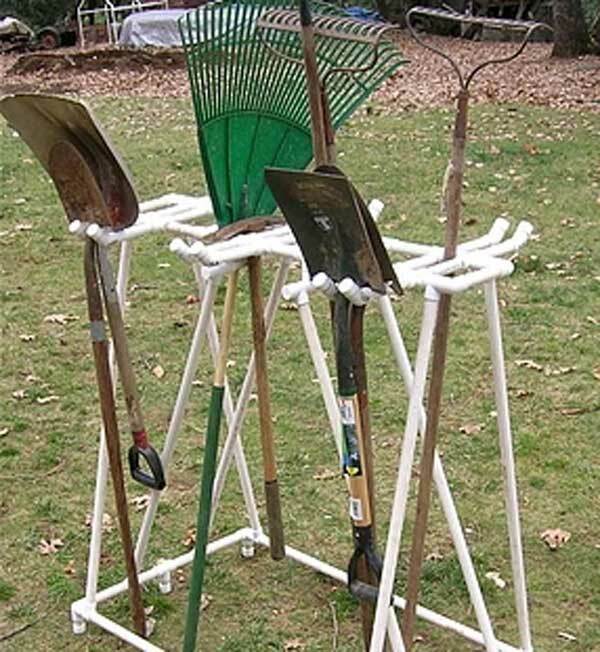 Garden and yard tool rack made with pipes. 19. 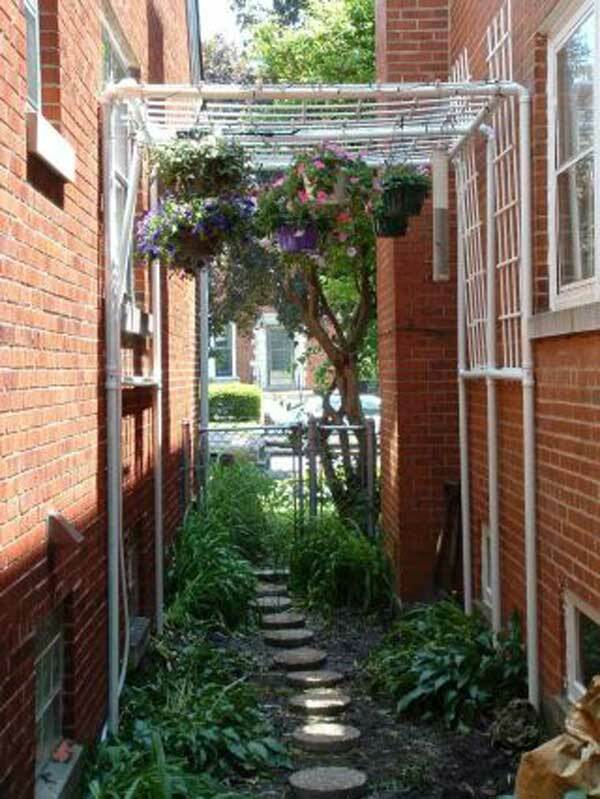 Construct a trellis and then hang potted plants on it. 20. 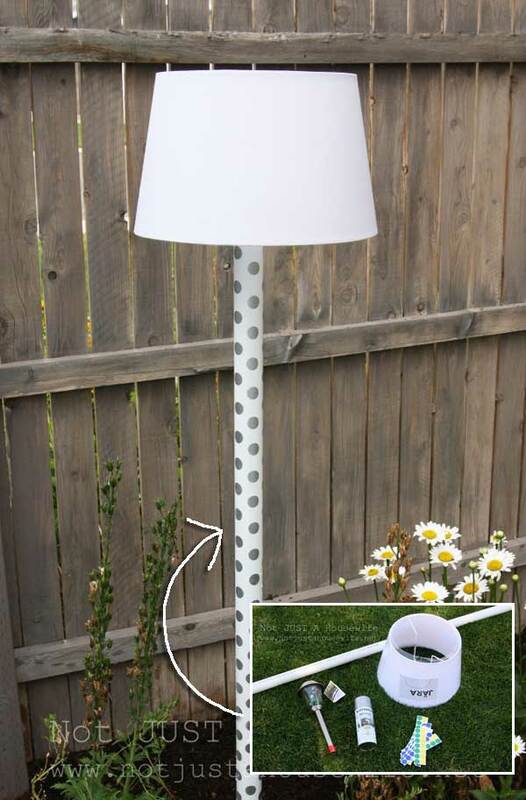 Spray paint a pvc pipe silver and then cover it in the dot stickers to make this cute outdoor solar lamp.